Now ... a Bi-Laureate in Mathematics ... with a good feeling for Physics that discover ... Free Energy ... a New Mathematics ... Shakespeare's Truths ... etc, evidently want to share his information ... From another perspective is "Dare to Do!". Have Slaves ... force people to certain manipulation ... In Heaven NEVER ... is Satanic. Lord Jesus is a Master of Time ... a Master because he control the Energy of the Lord ... he call that energy, "Father" and call Father also other Angels, like Archangel Gabriel ... etc. Now the Master ... slowly choose ... Twelve ... Apostles ... or like Soldiers (Appointed) to him ... he choose. He, the Master know the Divine Mathematics ... that NO ONE will teach you in High School nor University, because is Quantum. 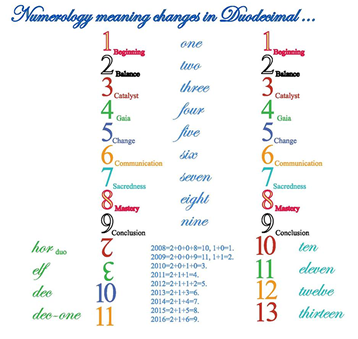 Quantum meaning here ... is ... "Its changes". ... Now, him ... the Master ... like a King (and here is an important point ... like the Son, he was not recognized to owner of the Law) ... need Sacred respect. But the Entire Scene ... his Arrival ... Miracles ... Resurrection and Departure was part of a Plan ... to create Consciousness. The Holy Spirit comes to set forth the law of the Son concerning righteousness, the right energy use of the law of the life everlasting. Well, the Apocalypse does not exist for the Son of God ... but for those the wicked. The Planet is a Cross-road and here dwellers from any place ... arrived and along many Millenniums ... has been created a Solid Strata where 7 Billions await ... and some few ... control the Planet. These are somehow Stewards ... not Kings ... but temporary Police ... and the Order is established by the Lord, the Master, the Mother and the Holy Ghost. Religious Doctrines ... like this is legal, this is illegal ... are not necessarily Christian and written or dictated by the Prophets. No. The Master choose 12 ... because he know the Divine Mathematics. Twelve are the Years (We are in November, related to Nine, next December ... related to Dec, Ten) ... but this is because months Julius and Augustus, July and August has been included ... and the Calendar is Solar ... not Lunar ... like the Mayan, or the Old Chinese, or the Egyptian, or the Hebrew ... all Calendars were Lunar because ... Native lived with Mother Earth ... and is logical to be ruled by Mothers ... or female ... like the Moon or the Planet. Now ... still some want to control and keep control ... is perfect Logical ... but in Time ... they will Crash and Fall. Who owns your time owns your mind; own your own time and know your own mind. Today, 11/20 is the Sixth day of the 5th Month (Moon-th) starting from the completion of Sirius Cycle on July 26. When a lover of Mathematics ... like I AM listen that Pi (3.14) is Rational in Base Twelve (and is not ... was a wrong transcription) made by Angel Kryon, got some Curiosity. The very message is ... Are Irrational in Heaven? ... The answer is NO. Monuments like the Egyptian Pyramids were built from few numbers ... All Entire ... using the Divine Geometry. Any Great Scientist ... may be what for me is a Great Scientist ... is unknown for you ... talk about the Cosmic Clock and Cosmic Pendulum. Now ... Numerology ... and will return to be used in full ... and is returning ... because is Quantum ... give a sense to numbers. ... Now the Twelve Apostles ... and ALL know Mother Mary ... all were Married. 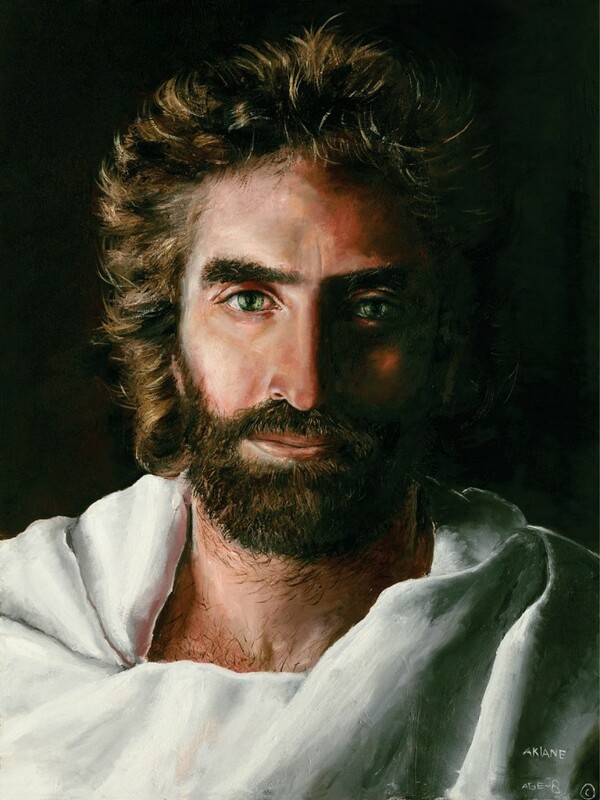 The Master, Lord Jesus ... also were married to Sacred Mary Magdalene ... a Priestess from the Egyptian Temple of Isis, where the Mother (Mary) training she, and got training to receive the Lord ... in her Womb. Beloved Elizabeth Clare ... (today ascended) ... like Beloved Clare ... got the Visit of the Mother (Mary) who gave her ... The Cosmic Calendar ... here updated to include the name of the Twelve Apostles, with Lord Jesus ... become 13 (A Trecena, a way to measure Time ... like 13 are the States of Consciousness, like 13 are the Moons in a single Year). This cosmic clock is the mandala of each esoteric unit, each unit in hierarchy of the guru and of twelve disciples. The twelve disciples of Jesus are figured on these lines. Jesus is the white-fire core in the center, and the positioning of the disciples on the clock was an assignment to each one for the mastery of that line. Each disciple was required to focus one-twelfth of the clock of wholeness, whereas Jesus was required to focus the mastery of all twelve. Andrew, Philip and Thomas hold the flame in the etheric body. They serve under the hierarchies of Capricorn, Aquarius, Pisces to teach those who are disciples of Christ how to master the energies of God-power, God-love and God-mastery. If you are born under any one of these three sun signs, you can call to the causal body of the disciple on your line to lend you the momentum of his attainment on that line, that you might serve with him in the mandala of the Christ. In the mental quadrant are Simon Peter, Bartholomew and Matthew serving on the lines three, four and five—Aries, Taurus, Gemini. If you are one of these three signs, call in the name of the Christ that the causal body of attainment of that one be transferred to you as a mantle, a momentum of victor)'. In the emotional quadrant, serving the hierarchies of Cancer, Leo and Virgo, are the apostles James the Greater, Jude and James the Less. They were intended to master those emotional energies, and so whatever attainment they did manifest is yours for the calling, yours for the asking, by the fiat in the name of the Christ. In the physical quadrant, serving on the lines of Libra, Scorpio and Sagittarius, are John the Beloved, Judas Iscariot (who was replaced by Matthias) and Simon the Canaanite. One of those three disciples, then, is your partner if you were born under one of those three signs, and you work with them to hold the mandala of the Christian dispensation, the Piscean dispensation. We know of two more apostles who have ascended since their Galilean embodiment. One of these is Judas Iscariot on the ten o'clock line. In his next embodiment, so filled with remorse, he gave such devotion and such intense prayer and such intense application to the flame of Jesus Christ that he did make his ascension. Now ... following a Lesson published two days ago ... here there are more to say. People with the same name ... are consonants. offer ... more information ... and these two John ... become different. We have ... Johannes Strauss ... Johan Sebastian Bach ... Johannes Kepler ... and all these Three ... have Gifts in Common ... NOT ONLY THEIR NAME. The same is valid for Joseph ... Mary and ANY NAME. The Lesson is now complete! Pi ... is NOT Pi ... and need to be draw in 3D ... and extended to 4D ... 5D ... 6D ... and beyond. Imagine mathematics with influential numbers! For each number is not empirical but influenced by the one around it. I'm giving you high math now, and here's how it's going to serve you: Because when you start to understand it, you're finally going to understand what I'm going to call the Holy Grail of Physics. That's a Human term.